Sleeping Giants was a very unique reading experience. The book was made up of interviews and journal entries to create one story. The interviewer was unknown to the reader throughout the entirety of the novel and I thought it added a little extra mystery. I loved how the interviews gave the reader just enough information to know what was going on, but still left out enough to leave the reader wanting more. I believe the unusual writing style gave the reader a chance to get to know the characters on a more personal level. I throughly enjoyed getting to know their thoughts, feelings, and why they chose certain actions. There were a few portions of the story that slowed down a bit in the middle, but for the most part, it was extremely well written and fast paced. I was flipping pages like a mad woman at the end! 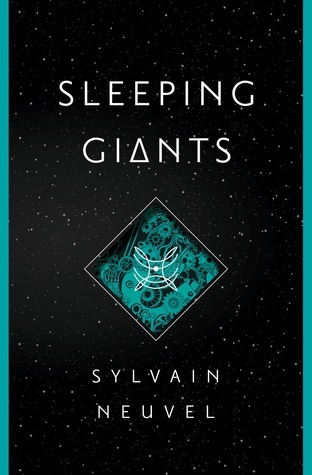 Sleeping Giants was a unique, fast paced read that really made me stretch the boundaries of my normal reading style. I enjoyed the different writing techniques and loved how the author toyed around with the amount of information given to the reader. 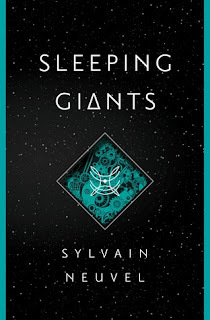 I highly enjoyed Sleeping Giants and look forward to picking up Waking Gods when it releases in April. Hurry up April! I would highly recommend this book to lovers of fantasy and sci-fi books.